Merry Christmas and a healthy and happy New Year to all of you ! Ronnie Claire Edwards "Corabeth Godsey"
The tickets and the program can be purchased or viewed here. Many activities are planned, such as autograph sessions, question - and answer sessions, evening dinner with the opportunity to dance, a Walton picnic. The Waltons will run all day in a special video room and everybody will have plenty of opportunity to interact with the performers and fans of The Waltons in the premises of the hotel. According to organizers, probably around 450 participants are estimated; the first 100 tickets have already been sold. Please make your room reservation at the Kirkley Hotel. Don´t forget to mention you are coming for the Homecoming 2015 event to get the special rate for the room. Today we have uploaded lots of new pictures from our trip. This year we were very lucky with the weather. We started our trip on the Blue Ridge Parkway with very warm weather, bright blue sky and plenty of sunshine. But see for yourself here. Even Hollywood reports about the Walton Reunion 2014 in Virginia . For more see here . A wonderful Walton weekend has come to an end. Carolyn Grinnell the president of The Waltons International Fan Club has done a great job organizing the reunion which was held in memory of the wonderful Ralph Waite. It was a great pleasure to meet Michael Learned and Cissy Wellman. The fans could spend the whole weekend with the guests of honor and also Michael and Cissy enjoyed the moments with their fans. It was a memorable weekend for all of us. If you like to see the pictures click here. Our pictures of the Meet & Greet from Friday afternoon are online now. To see the pics please click here. The Reunion 2014 has already started ! Here is the first picture of the two guests of honor who really enjoyed being with their fans. We all had much fun at the Meet & Greet this afternoon . Due to a technical problem it was not possible to add a comment in our guest book. The problem is now fixed and our guest book is available for you again. Here you can find a nice article about the new documentary of the life of the wonderful Earl Hamner. A new documentary about the life and work of Earl Hamner has been filmed this year. The documentary was made by Ray Castro (who also was the organizer of the 40th anniversary event of The Waltons in Los Angeles in 2012) Michael McGreevey ( Hobie in The Braggert) and Tim McAbee. The shooting is now complete and the emergence of the documentation is in the final stages. Michael McGreevey has now launched a fundraising campaign to help to finish this documentary. So if you would like to donate please click on the photo further down to get all the information. The range goes from $ 5 up to $ 5,000. For $ 35 you get a DVD of the documentary, for $ 55 a signed DVD of Earl Hamner, for $ 100 you get the signed DVD and the movie poster signed by Michael McGreevey. For $ 500 you get the DVD and the movie posters and a Thank you in the credits at the end of the film, and - the highlight - for $ 5,000 you and a guest will get an invitation to attend the private screening of the film in Los Angeles with Earl Hamner, cast of the film and other celebrities. Transportation and hotel are not included. You see, there is something for everyone here :). For those of you who don´t have the opportunity to travel to Walton's Mountain we have created various interactive 360° panoramas. So come and visit Rockfish Post office, Schuyler, the Waltons Museum and much more. Have fun with our virtual tours through Waltons Mountain. Michael Learned is back on stage ! If you like to watch Michael Learned on stage again you have the chance to see her along with Daniel Davis in the play Love Letters at the Delaware Theatre in Wilmington, DE. The play will be from September 17th until October 5th. For more information and tickets see here. Already two years ago, Michael Learned has been on stage in Love Letters together with Ralph Waite. It is sad to know that actually Ralph Waite should have been on stage again with Michael Learned this year to perform the play Love Letters. Unfortunately, he passed away in February so unexpected. Two fans have met Michael and Ralph in 2012 during their performance of the Love Letters in Canada. Here is their report. 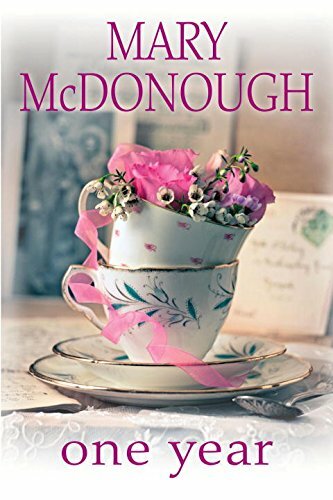 Mary McDonough has written a new book which will be published in spring next year. The titel of the novel is: One Year. The book will be available at amazon on April 28th, 2015. So mark your calendar. Here is the link to amazon.com. The latest issue of the Blue Ridge Life magazine features an article about the wonderful Earl Hamner and his lovely wife Jane. Earl had to undergo surgery on his 91st birthday in July. He has recovered very well from this serious intervention, as the report and the beautiful pictures show. Here is the article. To enlarge the pictures just click on them. Below you can find a video with Jon Walmsley playing in Stratford upon Avon, U.K. on Saturday - Sept. 13, 2014.
share some of your photos with other fans of The Waltons ? We would love to show your pics and / or your report about this event on our website. Get in contact with us through our website. Thanks ! We have uploaded the letter from Carolyn Grinnell, President of the Waltons International Fan Club with all information and the reservation form for The Waltons Reunion 2014. You can download it from our reunion news. Another cast member has made her commitment for the Walton reunion in Lynchburg. Please check our reunion news. Which Walton are YOU ? In honor of Ralph Waites birthday June 22 INSP has a new quiz for you. Here is the link:http://www.insp.com/quiz/walton/. The first cast member has made a commitment to attend The Walton's International Fan Club Reunion 2014. More details you can find here "Reunion news". Here are some very good news for all friends of The Waltons, especially from the UK ! For this special fan event, the only English born 'Walton' will return to his roots and perform an exclusive one hour concert in Shakespeare's town Stratford-upon-Avon, England - Sept 12th/13th. " Autograph session, Q&A, an exclusive dinner with Jon and much more. Last weekend, the three-day Cherry Blossom Festival was held in Marshfield, Missouri.The festival was dedicated to the 75th anniversary of the movie "Gone with the Wind". The highly diverse program offered alongside lots of music and literary events also events with celebrity guests, including a gala dinner with Laura Bush. David Harper and Kami Cotler were also invited as guests of honor. On the edge of the festivities both planted a small tree in memory and in honor of Ralph Waite. A beautiful gesture! Source: with kindly permission of Ray Castro. Thank you Ray ! Here you can view a video that has been created on the occasion of the latest stage play of Richard Thomas. Besides the interview with Richard Thomas you can see short parts of the play "Camp David" with Richard Thomas portraying Jimmy Carter and Jimmy Carter himself with wife. We wish we could have seen this play. If you are able to watch this play in Washington and you would like to send us your report and some pics we would be very happy ! More details of the reunion 2014 you can find here "Reunion news". Because of hospital stay followed by rehab of the President of the Walton Fan Club we still have to wait for further information about a Reunion this fall. As soon as we will get the details we will post them here. Richard Thomas will be back on stage in Washington DC ! From March to May he will represent the former U.S. President Jimmy Carter in the play Camp David. Camp David (north of Washington DC ) is best known to many of you. In 1978 , the U.S. president Jimmy Carter, Israeli Prime Minister Begin and Egyptian President Sadat stayed together for 13 days to create the impossible: peace in the Middle East. The play will start on March 21 to May 04 at the Kreeger Theater in Washington DC. There are various events, such as post show discussions, an event in the Piano Bar and even an appearance on the red carpet with the guest of honor Jimmy Carter followed by a dinner. The tickets for this event are hardly to be paid (they cost $ 1500.00). However, the tickets for normal performances are affordable. So, this is your chance to enjoy Richard Thomas live on stage. We would be delighted about your report and photos ! 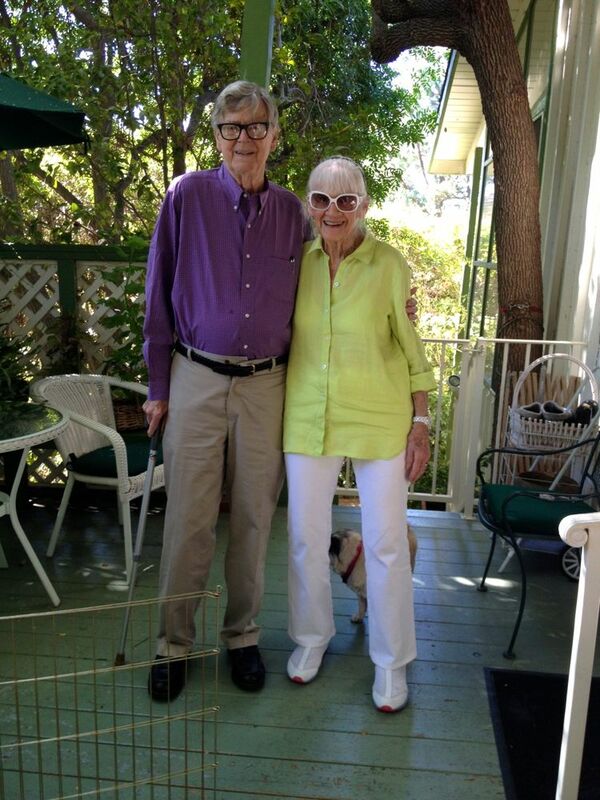 On Sunday, 2nd March the family and friends of Ralph Waite along with the cast of the Waltons family got together in Palm Desert for the memorial service for Ralph Waite. Present were Earl Hamner, Michael Learned, Jon Walmsley, Eric Scott, David Harper, Judy Norton, Mary McDonough, Kami Cotler and Leslie Winston. Richard Thomas was in the middle of preparations for a new play in Washington and was therefore unable to attend then memorial service on the west coast. On the website of the St. Jude Children´s Research Hospital you may find a memorable page for Ralph Waite and his daughter Sharon. You can leave a message in the guestbook and you can make a donation for the hospital. This was Ralph Waite´s wish. Here are two videos in Memory of Ralph Waite. Both videos were taken in Los Angeles 2012 during the celebration of the 40th Anniversary of The Waltons. @The Waltons Reunion 2012 - 40th Anniversary of " The Waltons"
In Memory of The Waltons "John Walton" - Ralph Waite by Ray Castro. Thank you Ray ! The world has lost Americas No.1 Daddy. Ralph Waite suddenly passed away on Thursday February 13. The entire Walton world is completely shocked and deeply saddened. Our heart is full of sadness and our thoughts are with Linda und the children. The wonderful director Ralph Senensky was in charge for twelve emotional episodes of The Waltons such as "Fire Storm" (topic the book burning) or "Grandma Comes Home" (the return of Ellen Corby after her massive stroke). Ralph Senensky is a significant director who can look back on a remarkable life work. We have created a separate page for him where we also publish a floor plan from Ralph Senensky with his kind permission. The floor plan shows the upper floor of the house of the Waltons ! Ralph Senensky is delighted that the show even after more than 40 years still has so many fans around the world. He talks about his experiences as a director on his website www.senensky.com, which we highly recommend. Read more about Ralph Senensky here. We thank Ralph Senensky for his kind support ! More information about the Walton Reunion 2014 coming end of March. It's beenexactly 10 years since the Waltons came to Germany to promote the re-airing of the series for the German TV station Kabel 1. And it was for the first time that the 9th season of the show was shown on public television in Germany. Michael Learned, Judy Norton, Mary McDonough, Kami Cotler, Jon Walmsley, Eric Scott and David Harper had come to Germany for a week. They had an appearance on german TV in the show of Stefan Raab' called "TV total" and to the delight of the audience Michael Learned spoke some phrases in German, since she had lived in Austria for a while when she was a child. Here is a picture of their appearance on German television. Recently we receive numerous requests from fans, if and when another reunion will be held this year. At the moment we don´t have any information if another reunion is planned for October 2014. But this doesn´t mean there won´t be a reunion this year because it is still a long time till October. When we get more details about a planned reunion in 2014 we will let you know ! A Happy and Healthy New Year 2014! A look back to the year 2013 and we remember the probably worst news which reached us from the world of The Waltons, the passing of Joe Conley. With him a very lovable person has gone both as Ike Godsey as well as the private man Joe Conley. His death has touched countless people. Last October we again had the opportunity to attend another Walton reunion which was held in memory of Joe Conley. There was a memorable table for Joe, a fan has baked a cake in the shape of Ike Godseys grocery store (!). We saw a video with Joe which contained one of his last interviews in which he talked about his life (very touching) and when every fan lit a candle in memory of Joe people were moved to tears. It was a very touching moment and a lovely evening for us. The pictures are available in our photo gallery. This year we will continue to work on our site and report about updates of the Waltons. Again we appreciate your feedback or suggestions and maybe one or two of you have already met a cast member of the Waltons and would like to tell us about your experience. If you like you can share it with other fans of the Waltons on our website.